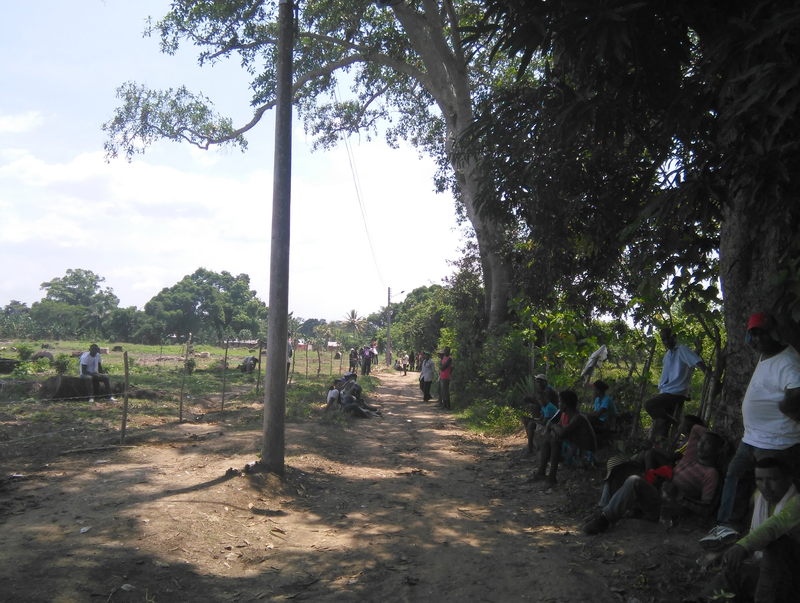 As the Colombian government and Revolutionary Armed Forces (FARC) come close to signing a final peace accord in Havana, recent land occupations in the rural municipality of Marialabaja in Colombia’s Caribbean region, threaten to turn into stigmatization of collective resistance and an arbitrary use of force against communities who are historic victims of armed conflict. I write this Intervention based on my PhD fieldwork in the Caribbean mountains of Montes de María, where I study how trajectories of agrarian change, state-making, and armed violence produce conflicting territorializations and shape black communities’ memories of place. Today, these sedimented histories inform struggles over land in the context of co-constitutive processes of liberal peace-making and agro-industrial expansion. I also write this in relation to recent work in geography on territorialization (Peluso and Lund 2011), agrarian memories and land struggles (Bobrow-Strain 2007; Wolford 2010), and the spatial politics of peace-making (McConnell et al. 2014; Stokke and Uyangoda 2011). For over three months now, groups of black campesino[i] families have tried to solve their critical situation of precarious housing and access to land through a strategy commonly refered to in Latin America as invasiones de tierras (“land invasions”). Allthough there has been some coverage in regional newspapers, press interventions (see here and here, for example) are oversimplifying the complex phenomenon of land occupations in the country and reproducing stereotypical representations of dangerous “invaders” that threaten order, security, and even “development” in a purported post-conflict situation. The notion of “land invasions” acquires particular connotations in a country where thousands of peasants were murdered because their demands for social justice were interpreted as participation in guerrilla warfare by private and state actors. This resulted in violent retaliations framed as counter-insurgency actions. The case of Marialabaja itself illustrates this phenomenon. 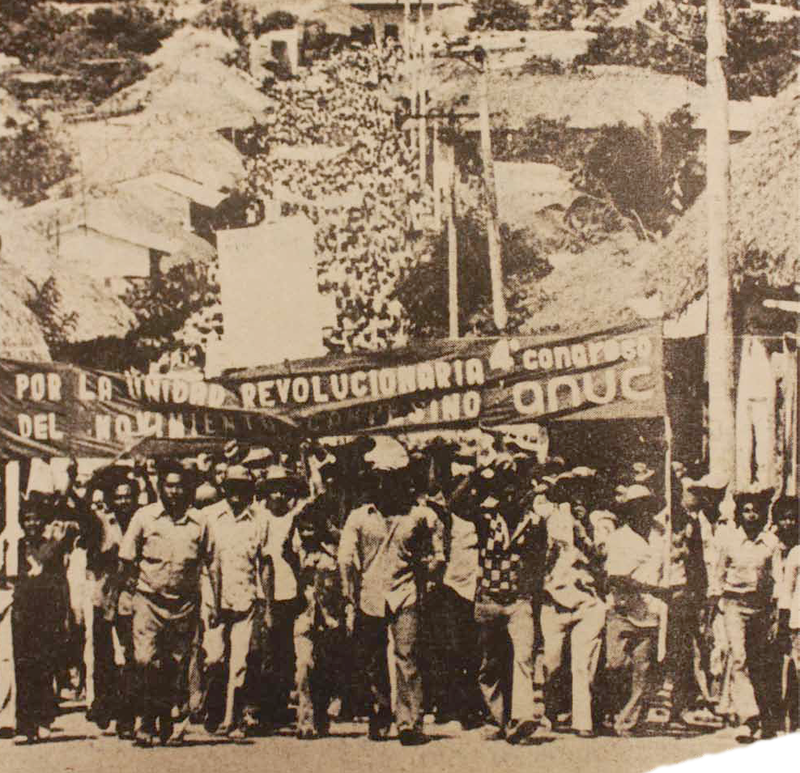 In the late 1980s, after decades of waiting for agrarian reforms to materialize in generalized access to land, local black chapters of the National Association of Campesino Users (ANUC) re-launched the strategy of “land recoveries” (recuperaciones de tierras) of the early 1970s, which had resulted in massive state-mediated land redistributions in other areas of the country. 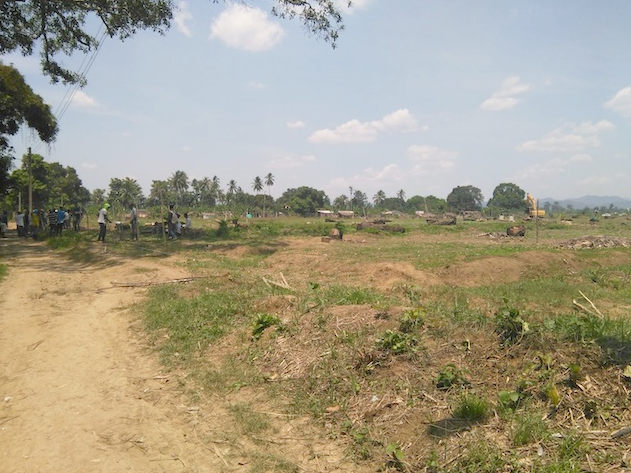 Pressured both by campesinos and by newly arrived guerrillas, some land-owners sold their property to the National Institute for Agrarian Reform (INCORA), which in turn titled the land to the new “parcel-owners” (parceleros). The reasonable prices offered by the state in a context of economic loss due to guerrilla bribes and the effects of early neoliberal reforms conditioned a process of land transfers in which it was not uncommon for landowners to reach previous agreements with peasant occupiers. However, other landowners sold against their will and promised revenge. The history of selective murders of ANUC leaders and the brutal paramilitary assault against communities with high rates of parcelaciones confirms that this revenge indeed took place. Armed conflict destroyed community organizations, overt collective resistance was hindered by fear, and the ANUC was annihilated. Today, as the ANUC starts to re-organize with the support of a process of collective reparation in its favor, hundreds of other afro-descendants, campesinos, victims, women, and youth organizations also re-emerge with the hope that another future is possible despite the tragic lessons of history. The majority of current occupiers do not belong to these organizations, but their acts of resistance are a reaction against a situation that is frankly outrageous and unsustainable–in the face of which, occupation seemed the only alternative. For 15 years, communities were forced to bear the FARC guerrilla’s territorialization of the mountainous areas where they lived and cultivated. Years later, they became victims of extreme violence at the hands of the paramilitary front “Heroes of Montes de María”, whose strategy of scortched earth involved de-populating areas of FARC’s presence and attacking communities thought to be their collaborators. This is why these campesinos settled in the lowlands of the corregimiento Playón, in the municipality of Marialabaja, where they have lived now for over ten years. Some of the families occupied houses that had been abandoned by others who were, too, forcibly displaced but resettled in the cities of Cartagena and Barranquilla, or Caracas in Venezuela. These families are now returning and claiming their former homes. Other families displaced from the mountains moved in with friends and family in different rural villages of the lowlands. Their current living conditions are extremely precarious and exemplify the unsurprising paradoxes of entrepreneurial development in rural Colombia: despite being surrounded by one of the most profitable agri-businesses in the country (African oil palm) these families lack dignified housing, access to land is limited, and employment opportunities are scarce. Given the municipality’s recent history of widespread dispossession in a context of violence and displacement, legitimate ownership of these lands is itself in question. However, even if the legality of ownership claims was proven, the truth is that the power balance in this situation is extremely unequal, and the property rights of the few appear to deserve more attention than the human rights of the many. Hierarchical and violent agrarian relations, security forces acting in favor of the powerful, and delayed state aid to the region’s most vulnerable were the conditions that gave way to the atrocities committed against the rural population of Marialabaja decades ago. Let’s hope that this history does not repeat itself in the present conjuncture of “peace-making”. [i] The Spanish idiom “campesino” is an identity category that denotes a historical relation to land, small-scale farming, and rural life. While its particular meanings are historically and geographically specific, campesino identities in Latin America generally reflect a political position vis á vis the state and agrarian elites through a language based on class antagonisms. In this text, I use “peasant” and “campesino” interchangeably. 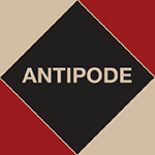 This entry was posted on 22 September 2015 by Antipode Editorial Office in Interventions and tagged agrarian reform, agribusiness, campesinos, collective resistance, Colombia, conflict, guerrilla warfare, housing, invasiones de tierras, land struggles, Marialabaja, occupation, peace, peasant movements, policing, precarity, property rights, rural life, small-scale farming, territorialisation, territory, the Caribbean, the state, violence.